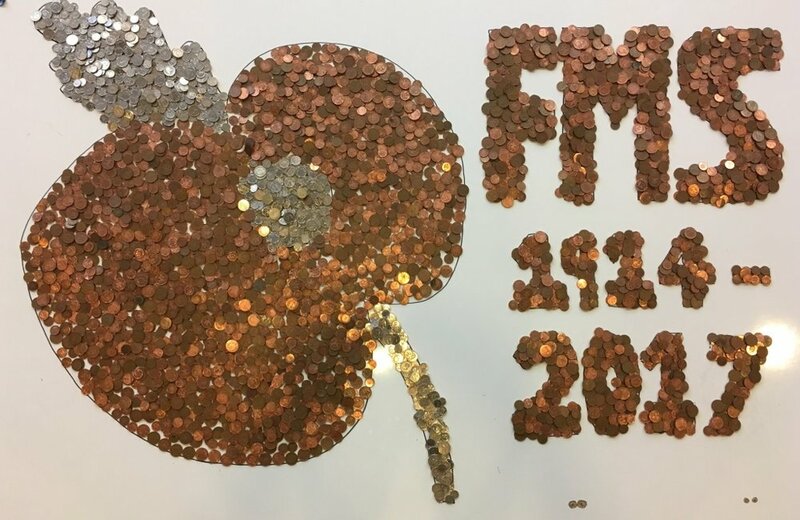 The pupils and staff at Ferndown Middle School were thinking about remembrance. In fact, they were rethinking remembrance, the title of the 2017 Royal British Legion poppy appeal. A special assembly helped them to remember some of the wars and battles that have changed Britain forever but they also remembered the men and women of our Armed Forces who are currently in the service of our country. They took a moment to reflect and observe a minutes silence. The Year 7 team sold poppies around the school and then the whole school created a giant silver and copper poppy on the stage. The proceeds from the giant poppy were split between the Poppy Appeal and the John Thornton Young Achievers’ Foundation. Many thanks to all the staff and pupils at Ferndown Middle School for their continued support.